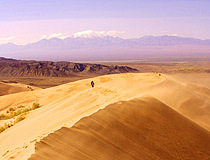 The capital city of Almaty oblast: Taldykorgan. 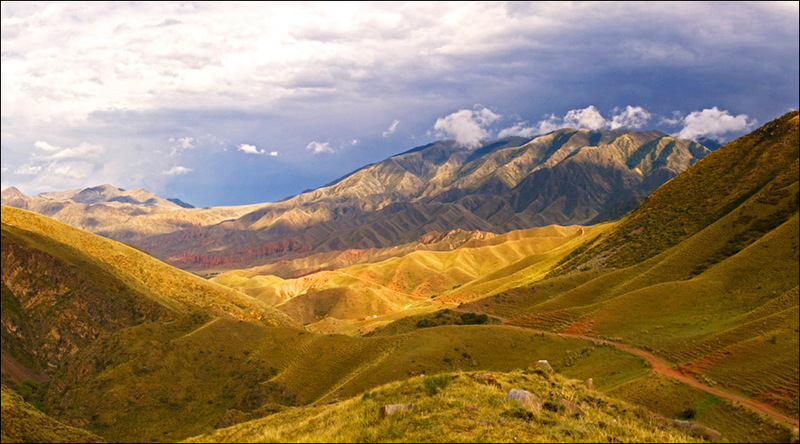 Almaty oblast (also spelled Almatinskaya, Alma-Ata) is situated in southeastern Kazakhstan. 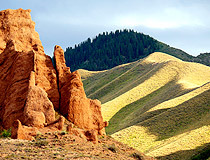 The capital of Almaty oblast is Taldykorgan city. 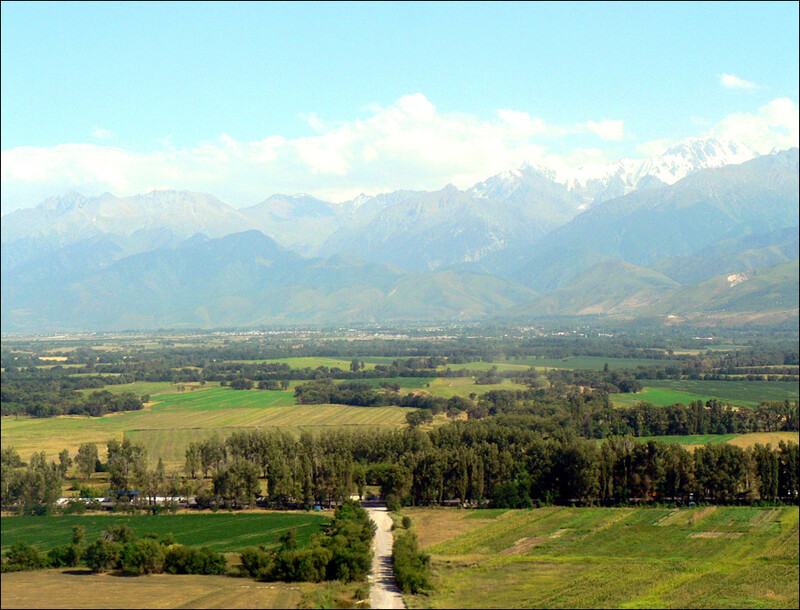 Almaty oblast origin of name: Kazakh for “grown with apple trees”, formerly Alma-Ata from alma: apple, ata: father. 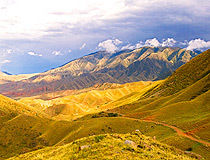 Almaty oblast has the population of 1,990,000 (2009) on the territory of 223,900 sq.km. 6 February, 2019 / Landscapes of the Northern Tian Shan. 17 January, 2019 / Summer in the Dzungarian Alatau. 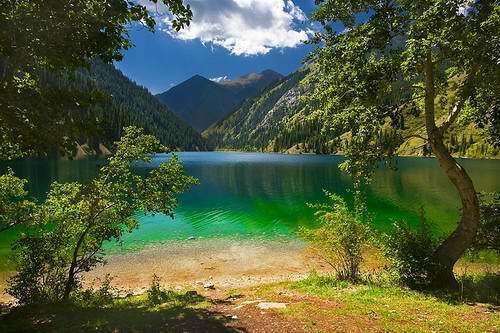 Almaty oblast is located between Northern Tyan-Shan mountain ridge in the south, Lake Balkhash in the north-west and the river Ili in the north-east; in the east the region borders on China. 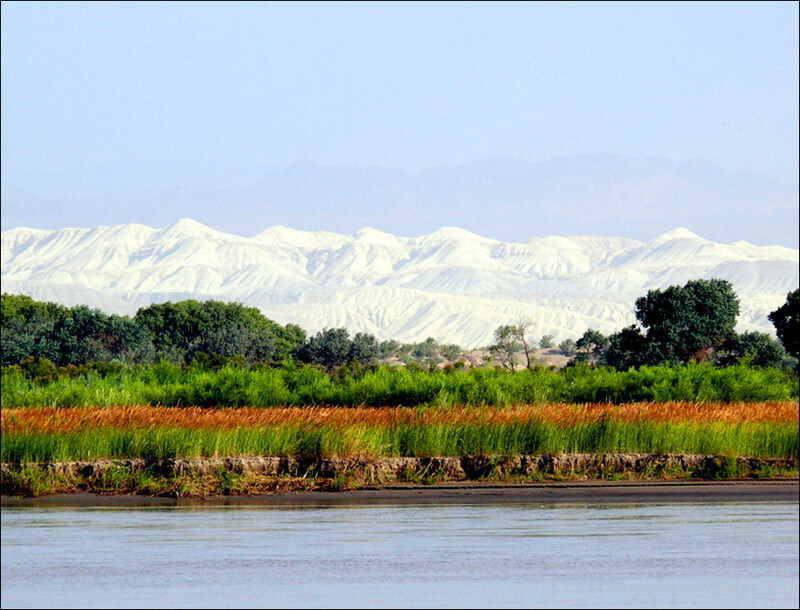 In the southeast of Almaty region the Dzungarian Alatau Mountains, which border China, rise to over 13,000 feet (4,000 m) and are the origin of Karatal and other rivers that cross a sandy plain to discharge into Lake Balkhash in the northwest. 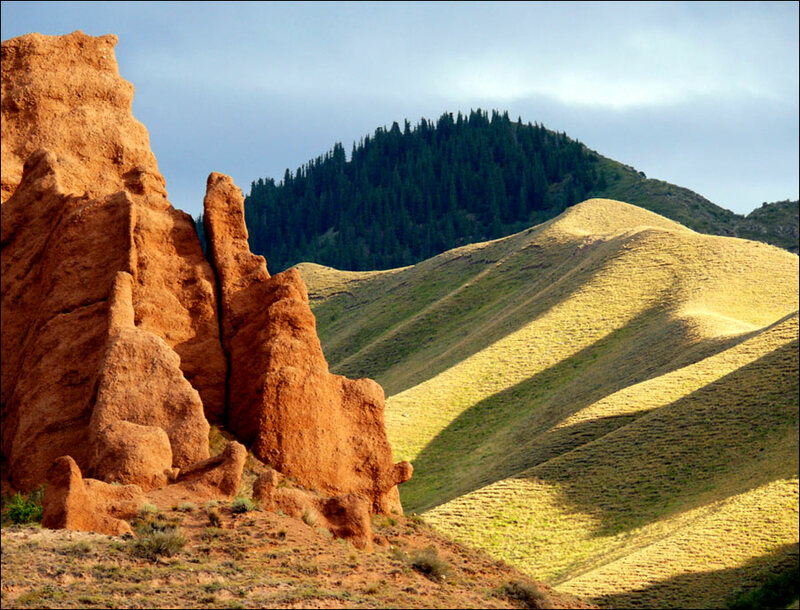 The whole southern area of Almaty region is highly seismic. In the northern, plain part the climate is of sharp continental type, cold winters (in January 9-10 degs C below zero), hot summers (in July about 24 degs C above zero). 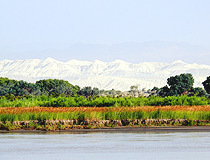 Annual precipitation varies from 5 inches (125mm) in the plain to 32 inches (813 mm) in the mountains. 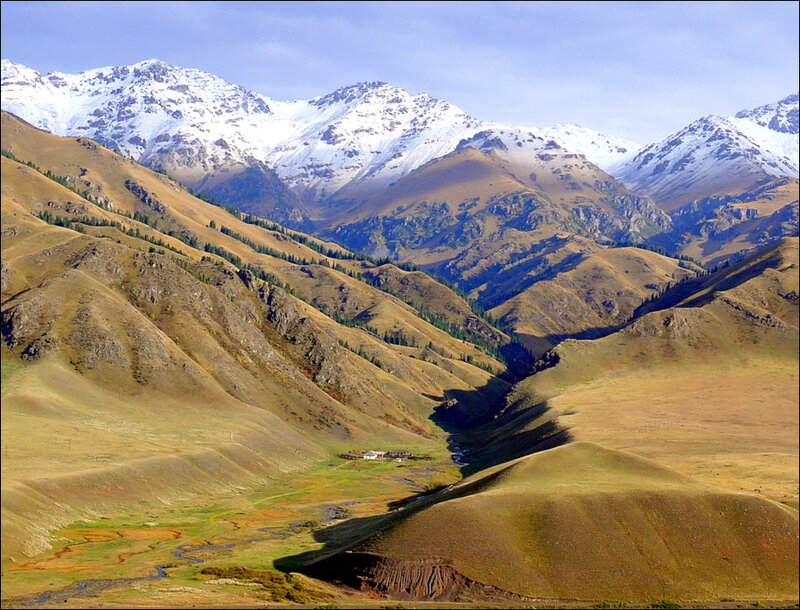 Almatinsky reserve is formed in Zailiysky Alatau. 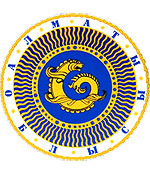 Major cities of Almaty oblast include Taldykorgan city, the capital of the region, Almaty (former capital city of Kazakhstan), Talgar, Tekeli, Panfilov, Ushtobe, and Sarkand. 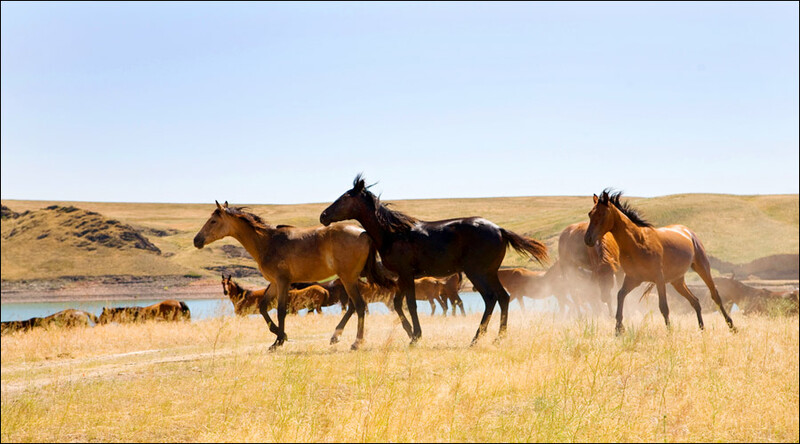 Kazakhs in Almaty oblast slightly outnumber Russians. 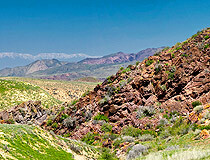 In Middle Ages after Kazakh khanate was formed (1465) Almaty region became the homeland of so-called Kazakh Elder Zhuz which kept its tribal system for a long time. 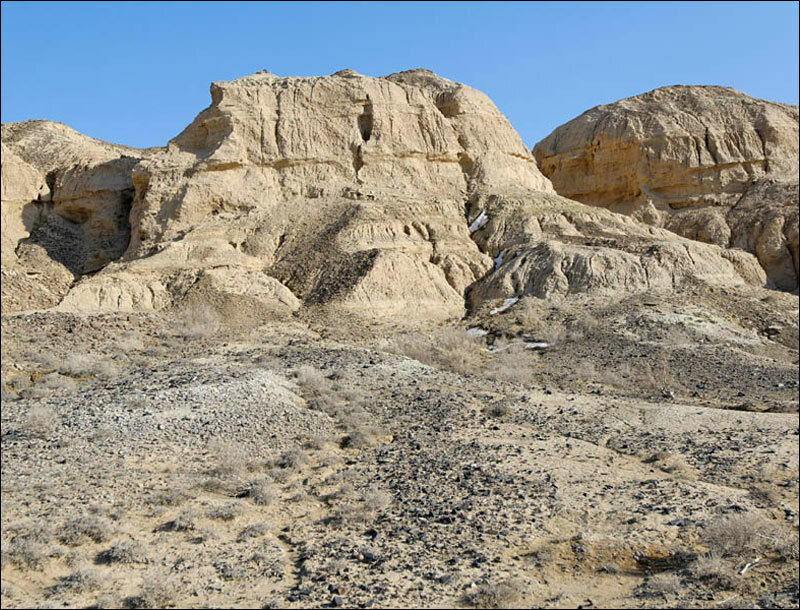 In 18th century the Chinese Empire Tsyn defeated Dzhungar khanate and spread its influence all over the region imposing tax on the population till the southern bank of Balkhash Lake and Chu-Iliysk mountains. But gradually Chinese Empire lost its power failing to consolidate in the region. Russian Empire began strengthening its position in the area especially by early 19th century when the Russian migrants came to the region, those were mainly Siberian Cossacks. 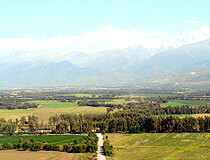 The population of Almaty oblast is concentrated in the river valleys and foothills, in which cereals (including rice), legumes, and sugar beets are grown, largely on irrigated land. Fine-fleeced sheep graze on the alpine meadows in summer and on the steppe and semidesert pastures of the Balkhash area in winter in Almaty region. 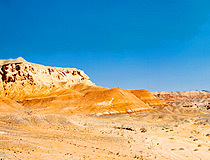 Lead and zinc are mined at Tekeli in Almaty oblast. 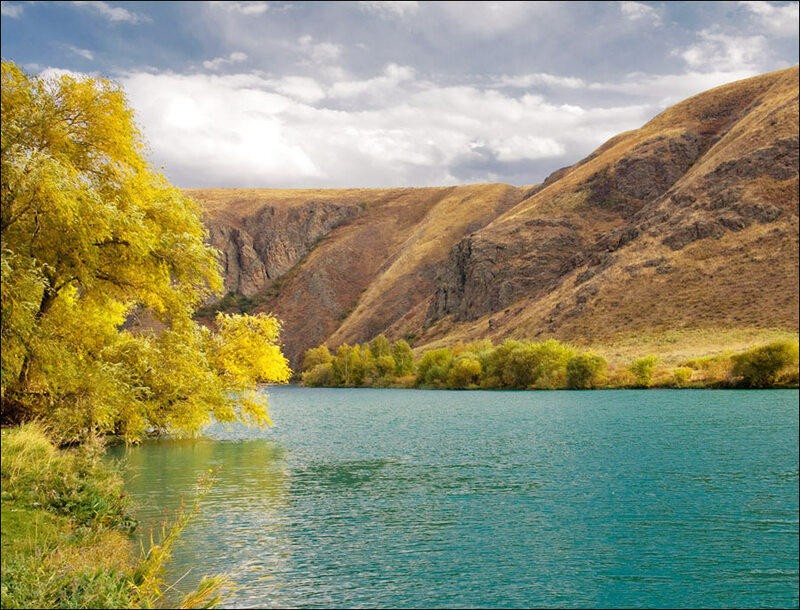 At present Almaty oblast has 1,519 historical and cultural monuments, among them 262 architectural monuments, 1,250 archeological ones, 7 natural, 9 of Republican and 1 of world importance. 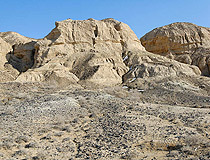 Among them there are such unique historical and cultural monuments as Besshatyrskye and Issykskiye hills, site of ancient settlement Talgar, necropolis and settlement Turgen, a lot of rock paintings. 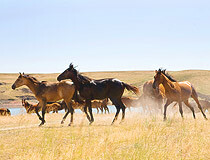 Sarah asks: I am trying to mail a package to Kazakhstan but am having difficulty translating the address. Is there a province/region called Almaatinskaya oblast with city = Essek? Yes, your address is almost correct. 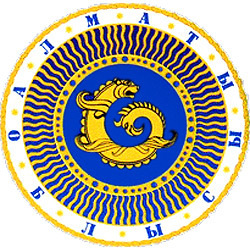 The correct spelling is: Almatinskaya oblast (Almaty province in English), Esik town. joe asks: where is dostyk? 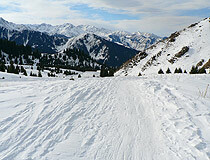 Dostyk or Druzhba (Russian) is a small town in Almaty region (oblast) of Kazakhstan near the border with China. 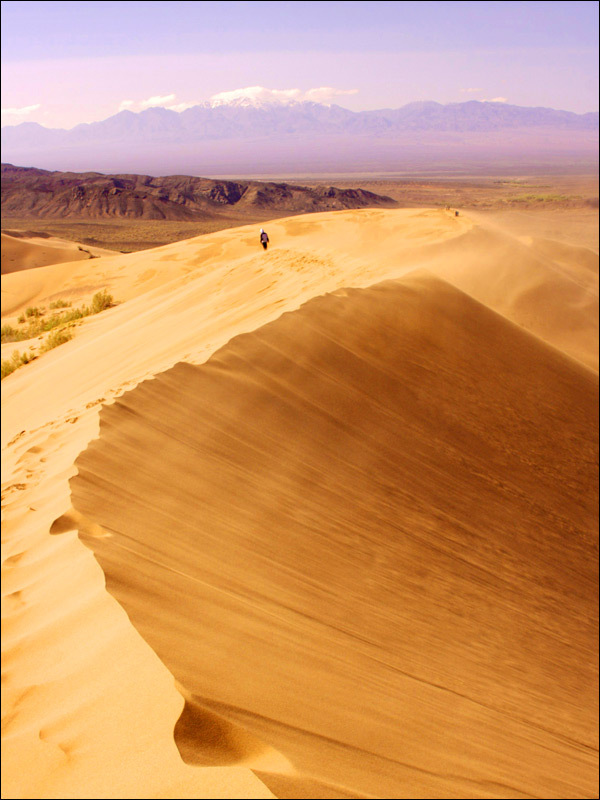 Dostyk town is a point of entry by highway and railroad from China. Very beautiful photography. :) Thank you!